I feel badly for my partners. 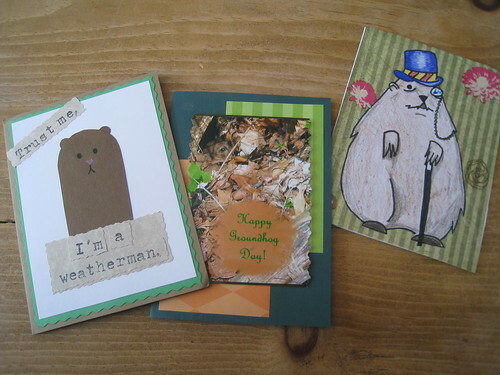 I am not really a card maker, so I went the postcard route and had Groundhog Day postcards printed. Thankfully, Phil did not see his shadow today! Those cards are too cute. Printed cards are not a cop out.